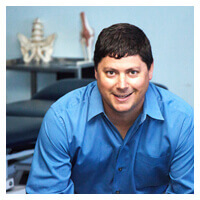 Dr. Ron received his Bachelor of Science degree in biological sciences from the University of New Orleans in 1997. He received his Master of Science degree in physical therapy from Louisiana State University Medical Center in 1999. He has practiced as an outpatient physical therapist in a variety of settings with a heavy emphasis on the hands-on evaluation and treatment of musculoskeletal disorders. In 2009, he was awarded certification in manual physical therapy (MTC) from the University of St. Augustine for Health Sciences. In 2010, after a three-year fellowship program, he received his doctorate in physical therapy from the University of St. Augustine and earned fellowship status with the American Academy of Orthopedic Manual Physical Therapists (FAAOMPT). He is an active member of the Louisiana Physical Therapy Association and the American Academy of Orthopedic Manual Physical Therapists.